This project is listed on the Vibrant Victoria home page as a new project, today May 18. I'm assuming that it is still "a go." I'm wondering if the entire area from View Towers east to Vancouver is going to be developed. This would eliminate the Bottle Depot, a very busy spot in my neighbourhood creating a parade of wide-load shopping baskets, baby carriages, strollers, bike trailers, garbage bags filled with empties. On the rare days that the bottle depot is closed, I have seen grown men cry. Per info on the Colliers website, the land price has been reduced to $5.8 million. Its been for sale for $5.8 million for the last 6 months, and given the current real estate market slide, it will be a long time before it sells. We may see action on this project sooner rather than later I am told. is this the right thead for this? 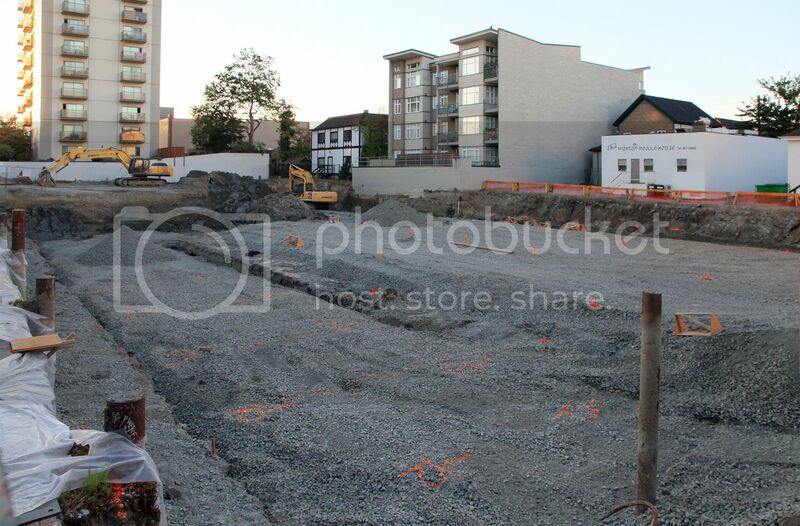 A swath of undeveloped land in the Harris Green neighbourhood of downtown Victoria is back on the market this week, following what appears to have been a series of legal proceedings. Colliers International has listed 1029 View St. -- 29,000 square-feet of vacant space at the corner of View and Vancouver streets -- for sale at $4.699 million. This project is unlikely to go ahead at 10-storeys (using the old Harris Green zoning). The prior rezoning attempts were for 14-storeys and they were having a difficult time getting through council. With the current slate it would be even more difficult to get something passed through council. Any recent news on this one? I was under the impression it's still two separate lots--the View one which is larger and the Vancouver frontage. I only see a for sale sign on the big View St. lot which is not worth much without the valuable high-profile corner. Likewise, the small lot is virtually worthless without the big lot beside it. The big View lot had some drilling activity a few days ago. Some barrels are there now so I suppose it was soil testing or remediation. Here's an image taken from the "Old Victoria BC" page on Facebook showing a cabaret that used to be on the site. The latest concept for this property is discussed here. There...that didn't take toooo long. This hole is the same project yes/no? I wonder how much was left of the swamp down there?